HANDS-ON-BOOKS: Nonfiction for Kids with Fun Activities: BRAIN GAMES for the Holidays! 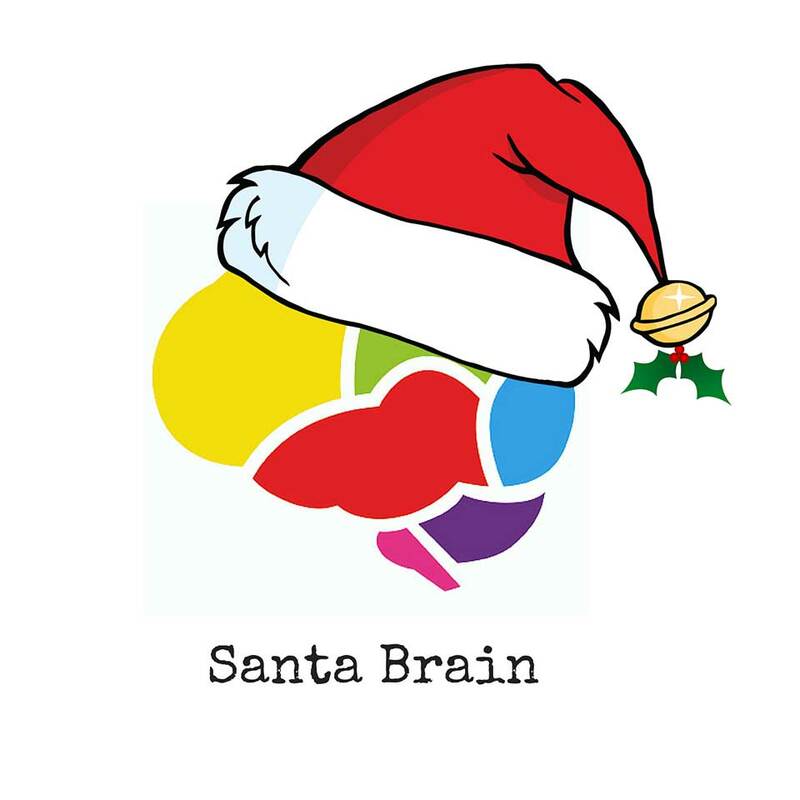 BRAIN GAMES for the Holidays! No, it’s not a typo. 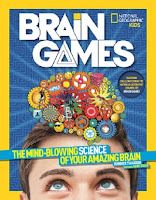 We are highlighting a new science book for the holidays: Brain Games by Jennifer Swanson is a super fun, super interactive book filled challenges, myths, fun facts, science, and games! 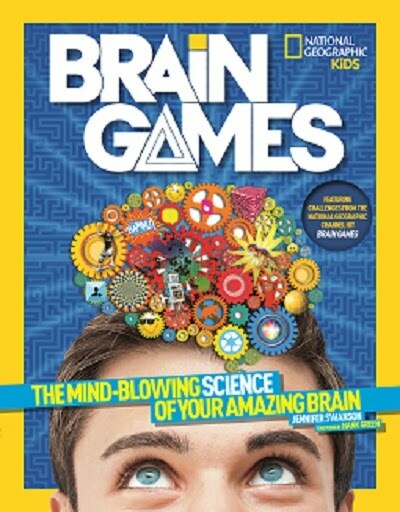 Kids ages 8 and up will spend hours puzzling, laughing, sharing, and learning with this mind-boggling book of brain power. It is a companion to the National Geographic Channel hit T.V. show of the same name. Readers will explore the parts of the brain and how it all works, learn brainy news nuggets from a neuroscientist, and take part in crazy challenges. Here’s one now.... QUICK: Name the most powerful and complex supercomputer ever built. Give up? Here’s a hint: It’s housed in your head and it’s the one thing that makes you YOU. Your brain is mission control for the rest of your body and steers you through life. Not bad for something the size of a softball that looks like a wrinkled grey sponge! So fire up your neurons and hang onto your hippocampus! Come join us for a rocking ride through your cerebral superhighway. • Your brain is about the size of your two fists put together? • Your thoughts travel faster than the fastest racecar (260 mph)! • Your brain uses enough energy to light a 10-watt light bulb for an entire day? • No wonder it takes up 20% of all the energy your body requires! Who wants to play some BRAIN GAMES?? <--- What do you see in this picture? 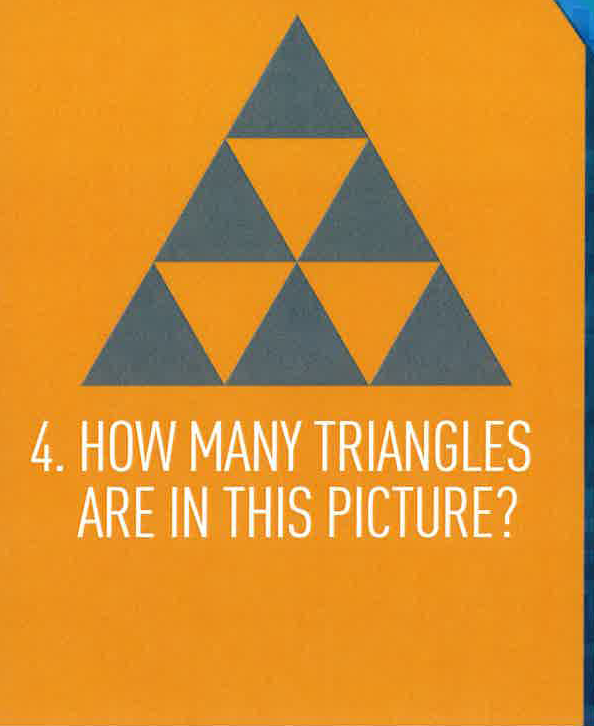 If you said three circles and two triangles you would be incorrect. Well, that may have been what your brain saw, but really, none of those are there. 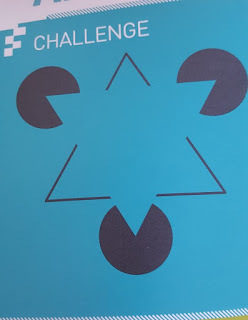 The “circles” are really more like Pac-mans and the triangles are not complete. So what happened? Your brain is basically lazy and since it needs to identify things in an instant, it takes short cuts. It fills in the lines to tell you that you are seeing circles and triangles because that’s the closest thing it may have found that those images matched in your memory. Now some people see other things in the picture. That just means that your brain may be comparing it to images that are more familiar to you. 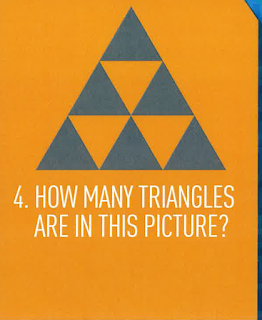 The answer is: 13. Did you find them all? One last Try -------> Sing the A-B-C Song. Can you do it? Not many people can. And if they can manage to sing the ABC song backwards, it’s usually much slower than if they sing it forward. Happy Holidays to all!! We'll see you back here in 2016! P.S. If you’re looking for holiday gifts, remember to #GiveBooks!